After finally getting hooked on the Dragon Ball series a couple of weeks ago, I decided to do a painting of Frieza, my favorite villain. 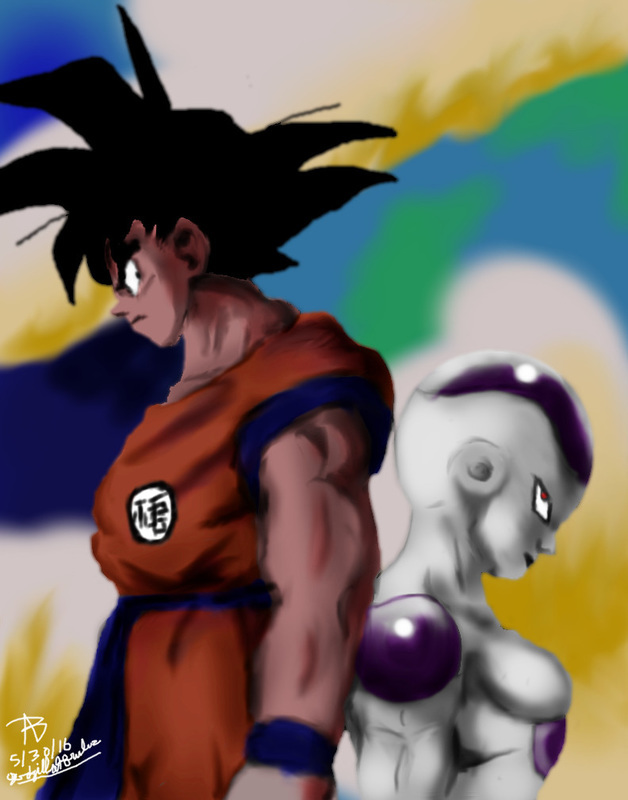 After looking at a few scenes, I felt that an image with both Goku and Frieza would be better. This is my latest digital painting as of this post (5/30/2016). My Windows was updated, so this is the first painting I did using the Windows 10 system. Drawing these two was very easy, even with my sensitive mouse pad.